January is National Human Trafficking Awareness Month, which is designed to increase public awareness of the estimated 21 million victims of human trafficking worldwide. According to the Human Trafficking Hotline, Florida ranks third in the US in human trafficking cases reported by state, behind only California and Texas. The local nonprofit Rethreaded helps women who have been trafficked start a new life by employing them to create innovative products from upcycled materials - like the leather seats from Southwest Airlines. The organization was recently featured on Project Runway All Stars, where contestant Irina Shabaeve created an accessories line for them. Kristin Keen, Founder and President, Rethreaded; Renata Bryan, Survivor & Finance and Administration Lead, Rethreaded; Brent Woody, Lead Counsel and Executive Director of the Justice Restoration Center; Mac Heavener, Chief Assistant, State Attorney's Office, 4th Circuit; and Crystal Freed, who helped found the Northeast Florida Human Trafficking Coalition, joined us to discuss the fight against human trafficking. If you have information regarding suspected Human Trafficking of a child in Florida contact: Florida Abuse Hotline 1-800-96-ABUSE (1-800-962-2873). National Human Trafficking Resource Center 1-888-373-7888. Text HELP to 233733 (BEFREE): To get help for victims and survivors of human trafficking or to connect with local services. 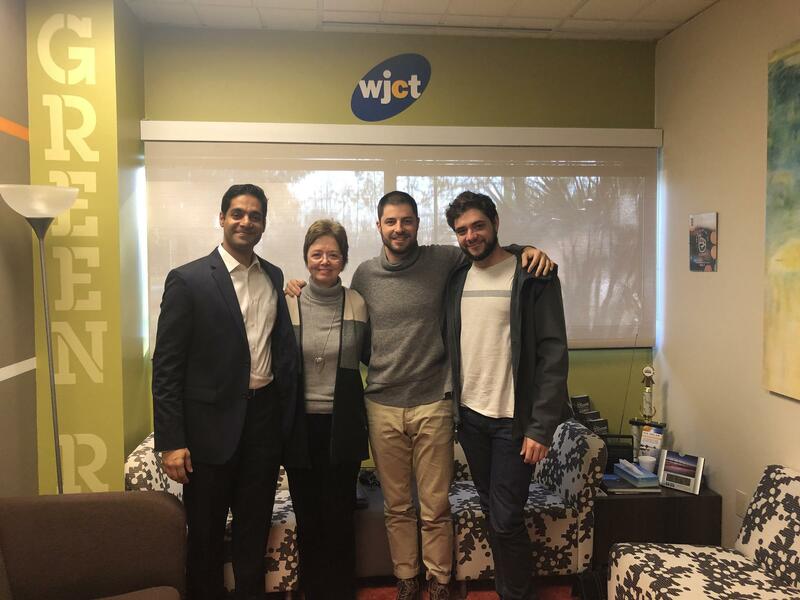 From left to right: Asghar Syed, Diane Raines, Matt Colaciello and Jake Lewis. The Muslim American Social Services Clinic, or MASS, has treated thousands of patients here in Jacksonville at no charge. An interfaith coalition of caregivers runs the clinic, treating this area’s large uninsured population. Although the clinic is an outreach of the Islamic Center, care is open to any Duval resident who are uninsured and living at or below 200 percent of the poverty level. We previewed the documentary about MASS called Unconditional Care. There will be screenings of the film Thursday, January 24, at, 6:30 PM and Thursday, February 7 at 6:30 PM, at the Museum Of Contemporary Art. Asghar Syed, MASS’s founder; Diane Raines, MASS’s board chair & Retired Baptist Health Executive; and filmmakers Matt Colaciello and Jake Lewis talked to us about the documentary and the clinic in more detail. Critically-acclaimed singer and songwriter Pete Yorn will perform in Jacksonville tonight as part of his You and Me Solo Acoustic Tour. City Hall and local civil rights groups are in disagreement over who is hosting Jacksonville's premiere Martin Luther King Jr. breakfast, leaving the city torn between the events. Wednesday marks day 26 of the longest government shutdown in U.S. history. More than 40,000 active-duty Coast Guard members missed their scheduled paycheck Tuesday, as the only military branch to work without pay during the government shutdown.